​This post contains affiliate links because a playa has got to get paid! I recently got a chance to try Interact Quiz Builder and I was blown away. In the past, I tried services like Leadquizzes and wasn’t really impressed. However, I remained on the lookout for a good Leadquizzes alternative that would still consistently generate leads. Unlike a webinar or PDF lead magnet (which can still work well, don’t get me wrong), a quiz is both engaging and entertaining. People love taking quizzes and they’re more than willing to give you their email address in exchange for their quiz results. This is important because the average website has a sales conversion of 1% to 2% - this means that most people visit websites without buying anything. But if you can collect your visitors’ email addresses and build a relationship with them, your conversion rate should increase, improving your bottom line. ​So, how do you create quizzes? I know there are a lot of "reviews" out there from people who have never used a product or software who pitch it just to earn a commission. That's why I've included a screenshot from my Interact account to prove I actually USE the software and I'm not just talking about it. The very first step in creating quizzes for lead generation is to come up with the right title and topic. Interact Quiz Builder makes this extremely easy because they have tons of ready-made templates for you to use. Make sure that your topic is relevant to your audience. If you’re in the financial services space, you probably don’t want to create a “Which Type of Snack Are You?” quiz. That type of quiz would probably work better for a vending machine company. Put yourself in your customer’s shoes and figure out which type of quiz they would enjoy taking. “How Much Do You Actually Know About…” - this is a great quiz because all you have to do is craft questions around your niche and/or topic. Plus, by throwing the word “actually” in there, you’ve turned the quiz into something of a challenge, which makes it even more enticing. “Which (Blank) Are You?” - these quizzes are based on the Myers-Briggs personality quiz. All you have to do is replace the personality types with the appropriate results for your quiz. This type of quiz has been very successful in the financial services space with the “Which Type of Investor Are You?” quiz. Again, Interact Quiz Builder has a ton of templates and titles - you will have tons of inspiration over there waiting for you! Remember that the whole point of a quiz is to educate and entertain - keep this in mind while you craft your questions. Because your end goal is to market your products and services, you want to take this opportunity to create a connection with your audience. You can also do this by including images in the quiz, which makes it more entertaining. However, don’t jam your quiz with too many questions. I’ve found that 6 to 8 short questions tends to get the best results. Most people just don’t have the time to spend 20 minutes taking a quiz; if they can get it done in two or three minutes, enter their email and get their results, they’re happy. Make sure you ask the right questions in your online quiz builder! I remember reading somewhere that 75% or so (don’t quote me on that exact number) of quizzes are found via social media. Knowing that, you’d be a fool not to make sure your quiz has a fighting chance on Facebook, Twitter, etc. One of the best things you can do is to have a cover photo with a person on it. I’ve found that photos with people on them (more specifically, one person’s face) gets clicked on twice as much as any other picture. A human face is something that gets people to mindlessly stop scrolling and pay attention. For your post to do well on social media, you want to make your quiz title your headline, include an image that grabs attention, and include a call to action. You want to have a button where people can click to get right to the quiz. I’ve seen success with CTAs in the image itself and with the default buttons that various social media platforms give you. Interact quizzes have share buttons to popular social media sites, so your visitors can share your quizzes and their results to their social networks. Think about this: quizzes are AMAZING segmentation tools. People are literally answering questions in such a way to filter them into a certain “bucket”. Why not take advantage of that and tailor your marketing message to those different buckets? A lot of my personal work is built around helping financial advisors generate leads and get more clients. Let’s say that a financial advisor puts a quiz on his site titled, “Which Type of Investor Are You?” and makes the results either “conservative” or “aggressive”. Well, once the financial advisor has the email address, he can segment the leads into a “conservative” bucket and an “aggressive” bucket. After all, would you speak to both of these investors the same way? Of course, not. The advisor would have an autoresponder sequence for the conservative investor and another for the aggressive investor. Because the message is much more tailored, the investors will be much more receptive to the message and more likely to take action. You can take this idea and apply it directly to your business, whether you’re selling financial services or funny cat socks. 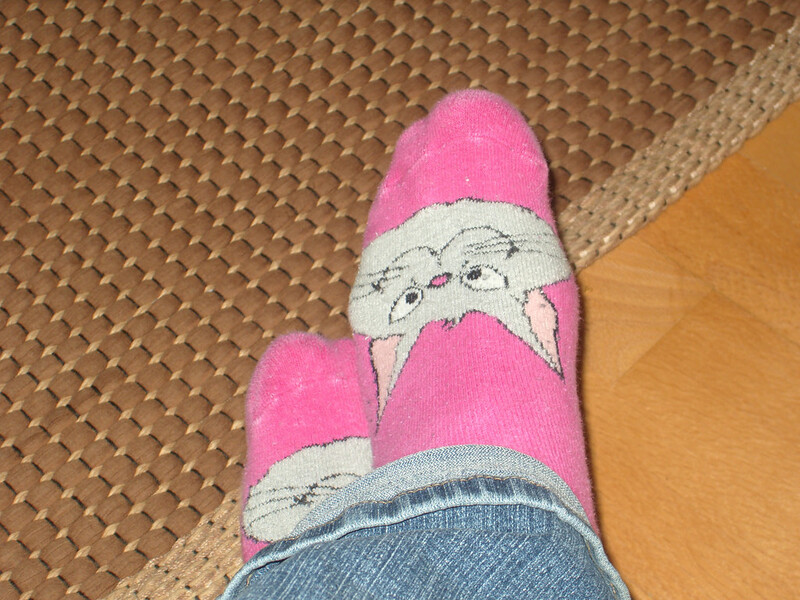 Yes, you can still use Interact Quiz Builder to sell funny cat socks. So, Why Do I Recommend Interact Quiz Builder? This is a must-have. If you’re using a quiz builder that doesn’t allow you to customize, dump it right now. Interact Quiz Builder lets you customize all colors, images, and buttons to match your website and brand. I had to learn to learn the hard way how important this is. One quiz builder (I won’t mention the name) only let me use their default red button because their split-tests showed that a red button converted the best. However, when I tested red against the shade of yellow that’s on my site, the yellow blew the red out of the water. So not only do you need to customize to match your brand, but you also need the capability to run your own tests to figure out what works and what doesn’t. Some quiz makers and lead generation software don’t let you add your own logo. I feel like if you’re paying for a service, you should be able to remove the company’s crappy branding. With Interact Quiz Builder, you can add your business’ logo to make your quiz completely white-labeled. Plus, I’ve found that including your own branding/logo actually increases conversions. I guess when people see something without similar branding, they don’t trust it as much. And if they don’t trust it, they darn sure ain’t putting their email in! This feature is a lifesaver too, because not every business needs the same type of quiz. Interact offers three types of quizzes: Personality, Assessments, and Scored (Tally) quizzes. You can play around with them and figure out which one works the best for you. This is the whole point of creating a quiz… lead generation. All of your efforts would be in vain if you couldn’t collect that sweet, sweet email address at the end. Fortunately, Interact allows you to customize your quiz opt-in form and gate quiz results. So someone has to enter in an email address in order to get the results. Another cool thing about Interact is that they integrate well with various email autoresponders. Right now I’m using Drip for all my email marketing and they paired with Drip darn-near effortlessly. I had a call with someone from Interact and she told me something that made my jaw drop. She told me that giving quiz takers the opportunity to skip over entering their email actually BOOSTS results... which means she gets MORE email opt-ins by giving people the chance to say no. I was shocked - I would’ve thought that making opting in the only option was the way to go, but apparently including something like “No thanks, just show me my results” actually leads to more email addresses getting collected. I haven’t tested this for myself yet, but it’s definitely on my to-do list. This is by far my favorite feature. When you know exactly who is taking and sharing your quiz, it allows you optimize your content and targeting. Plus, Interact Quiz Builder allows you to see how people are responding to your quizzes, including if and when people are dropping off. Let’s say that you have a ten question quiz, but you see that most people don’t make it past question number four. This allows you to go back to the drawing board and try something different for your first four questions. Without these amazing analytics, you would never know that this is even happening. In-depth analytics allow you to fix (or dump) the bad quizzes and amplify the good ones. When I first tried Interact, my biggest worry was that the quizzes wouldn’t be mobile responsive. In the past, I’ve invested a lot of time brainstorming topics and titles, crafting questions and designing quizzes, only to find out that they looked terrible on my phone. Interact Quiz Builder ensures that I’ll never feel that pang of despair in my stomach ever again. I can rest easy knowing that any quiz I create will look good across multiple devices. Right now, Interact allows you to drop both Facebook’s tracking pixel and Google Analytics’ tracking pixel. This is an awesome feature because it allows you to not only retarget the people who saw/started your quiz, but to create custom audiences for your quizzes. What do I mean by this? Well, let’s say that you run an e-commerce store and you sell pet products. You could run a quiz like “What Type of Dog Mom Are You?” and then create an audience of people like the ones who took your quiz. Then you could target the people who are most likely opt-in to your list. Some examples of pre-made quizzes available on Interact. How Much Does Interact Quiz Builder Cost? Note: All plans come with a free 7 day trial, so you can try it out and it won’t cost you a thing. At the time of this writing, Interact Quiz Builder offers three different plans, and you can pay either monthly or annually. The first plan is called the Lite plan and that’s $17 per month if you pay annually or $29 per month if you pay monthly. This plan allows you to generate up to 5,000 leads per month but I should let you know that it doesn’t include conversion tracking or analytics reporting. If you don’t need these things or if you’re budget-conscious, this is the plan for you. The second plan is called the Growth plan and it’s $53 per month if you pay annually or $89 per month if you pay monthly. 90% of all the readers who will read this post are going to need a plan like this. It allows you to generate up to 10,000 leads per month and includes all the bells and whistles, including the ability to use your own branding, conversion tracking, analytics reporting, and more. In my opinion, Interact Quiz Builder is the best Leadquizzes alternative because they're able to offer so much more value for the price, especially if all you need is the $53 per month plan. Up to 10,000 leads per month for that small amount of money? That's an amazing deal. The third plan is the Pro plan. This is more for agencies and marketing teams - if you’re a blogger or running a small website, you probably don’t need this much. It’s $209 per month if you pay monthly or $125 per month if you pay annually. The big difference with the Pro plan is that it allows you to generate an unlimited amount of leads per month. So if you’re at the stage where you’re generating more than 10,000 leads per month, you want to get the Pro plan. Of course, if you’re generating that many leads per month, the Pro plan’s price is probably a drop in the bucket for you. So that's pretty much my Interact Quiz Builder review - I currently have the Pro plan and I absolutely love it. I could not ask for more when it comes to something like this. This is a great lead generation tool that can help you grow your business. If you’re serious about capturing leads and making sales, this is an investment, not an expense. After all, you can pay for the plan with the extra emails you capture. For example, let’s say that this tool allows you to boost your email capture conversion rate by 10%. Technically, if you’re selling to an email list and everything else remains the same, you will have boosted your revenue 10%. That’s how I look at things, and I never invest in a tool that can’t pay for itself when I use it. That’s why they offer a free trial anyway. You can check it out, see if you like it, and see if it can work for you. 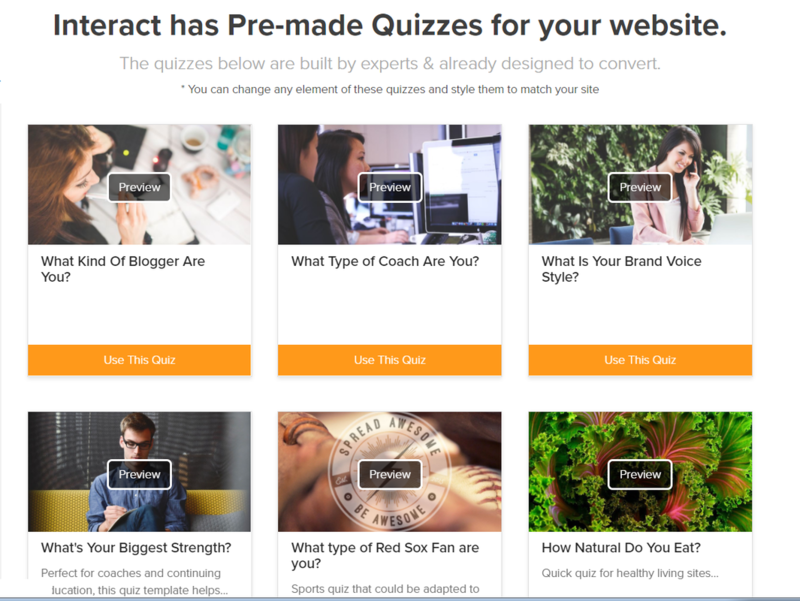 Start your free trial of Interact Quiz Builder today.